Advanced nutrition for beautiful hair, because it’s yours! To learn more about S3 by MONAT, please contact your MONAT Market Partner. An all-natural hair growth supplement. The little things you can do for yourself often have the biggest impact, and S3 by MONAT is no exception. Take (2) capsules daily, preferably with a meal or as directed by your healthcare practitioner. 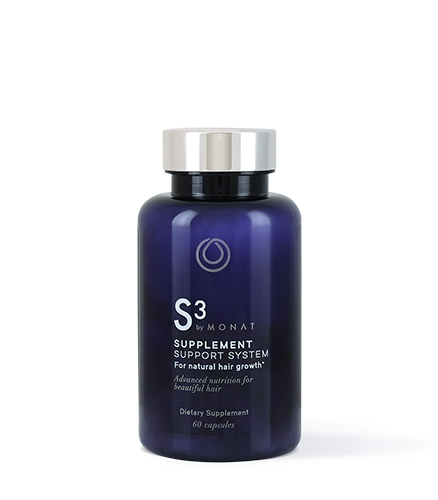 Get ready to take your hair growth to the next level with our unparalleled Supplement Support System – S3 by MONAT! 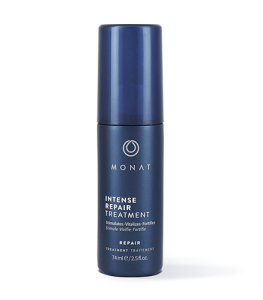 MONAT has raised the bar in hair nutrition with the supreme proprietary blend of S3. Each of the clinically proven ingredients work together synergistically to replenish the system of possible nutrient deficiencies that could be contributing to hair loss. S3 provides a holistic hair regrowth treatment that works to promote enhanced hair growth from the inside out. 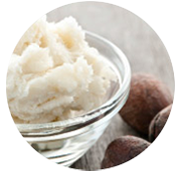 A rich source of sulfur and a key component of collagen and keratin that supports the structural integrity of the hair and skin. Improves the elasticity of both the hair and skin. Helps to improve the appearance of aging skin and hair. May promote hair growth and increase the amount of hair in individuals experiencing hair loss. (as beta-carotene) - counteracts Vitamin A deficiency which is common in people who are experiencing hair loss. 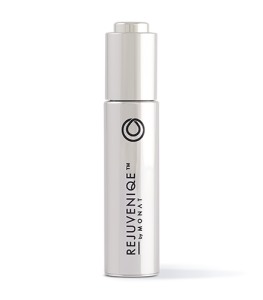 provides structural support to the hair shaft and follicle. Contains anti-aging properties which are beneficial to hair health. Other ingredients: Hypromellose, rice flour, silicon dioxide and vegetable magnesium stearate. *These statements have not been evaluated by the Food and Drug Administration. This product is not intended to diagnose, treat, cure or prevent any disease. Pregnant or lactating women should consult a physician before taking this product. ACTIValoe® is a registered trademark of Aloecorp Inc.
EVNol™ is a trademark of ExcelVite Inc. and protected by US Patent No-7,211,274.